Pay Per Click advertising (PPC) is one of the most technologically intimidating forms of marketing. After all, it involves new platforms, endless rows of data and a hoard of three-letter acronyms like CPA, CPC, CPM, the other CPC, the third CPC and CTR. Google’s Academy for Ads hosts six courses covering what Google AdWords can do with PPC, and that doesn’t even include the lessons on the platforms that you may use in the management of your PPC account like Google Analytics and Google Tag Manager. It’s a lot, but there’s no need to worry because this article will introduce you to the basics and give you a firm understanding of what PPC is all about. You can then use this information to decide if you want to take on the task of PPC yourself or hire someone else to manage your account. If you do choose to hire an in-house PPC expert or a third-party company, you should at least know the basics of PPC so that you can make educated decisions when it comes to advertising your business online. PPC means “pay per click” and is a type of advertising in which advertisers pay by the click. Businesses like this option because they only pay for their ad if their ad is successful enough to gain interest. Most of the time, when we talk about PPC, we are talking about search engine marketing, and when we talk about search engine marketing, we are mostly talking about Google search. Other search engines and advertising platforms have their value, but Google search is the gold standard. This is where your ad has the potential to get in front of the most people. That also means that Google search is often the most expensive option. 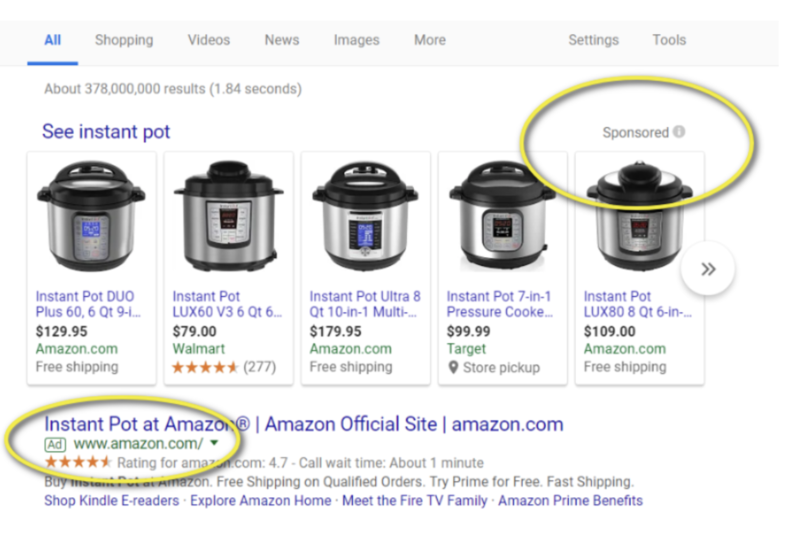 When you go to Google search and type in “grandma’s best chicken noodle soup” you will see ads in various spots on the page highlighted with the word “Ad” or “Sponsored.” Each Google search listing that has either of those terms is a PPC ad. There are other places where PPC ads appear, such as the Bing search engine and Facebook. With social media platforms, you often have the choice to pay per click, pay per conversion or pay per some other action taken on the ad. For the purposes of this article, we’ll mostly be dealing with Google PPC ads or AdWords. AdWords is the Google platform that you will use to build, manage, edit and monitor PPC ad campaigns. Before you can begin your first campaign, it is a good idea to understand the basic PPC terms. Even if you never plan on outsourcing PPC management, every marketing manager and business owner should understand the basic PPC terms for reporting and monitoring purposes. AdWords. Google’s advertising platform. This is a powerful and necessary tool, so becoming familiar with AdWords is essential for anyone wanting to advertise on Google’s search engine. Budget. AdWords budgets are set at the campaign level of the Google PPC hierarchy and are set at the maximum amount your are willing to spend daily. Campaign. The first level of the Adword campaign hierarchy and contains all Ad Groups. Ad Group. 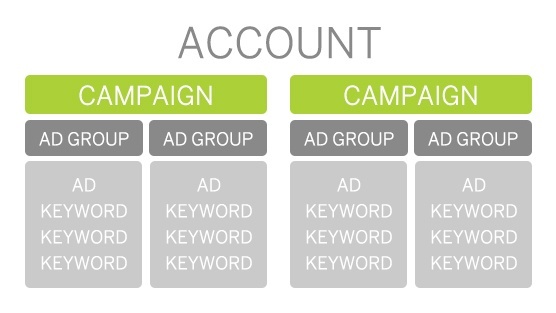 The second level of the AdWords campaign hierarchy, containing the particular keywords and ads that a campaign will focus on. Auction. Before an ad can appear, it must go through an auction. The winner of the auction gets the top spot! Keyword. The search term or phrase that people use to locate an item on a search platform. Ads will target these keywords. Negatives. Search terms that relate to your chosen keywords, but are ultimately irrelevant to what you are selling. Adding negatives helps you narrow the audience for your ads. Bid. The amount of money that you are willing to spend on an auction. Maximum bids are set for each keyword. Conversion. Once an ad is clicked, the user goes to a web page where your desired action should take place. That action is a conversion. Conversions could be purchases, phone calls, form fills or some other kind of lead capture. Conversion Tracking. Conversion tracking is done with bits of code placed on your website that will tell AdWords when the conversion action has taken place. Every campaign should have some kind of conversion tracking. CPC. Cost Per Click. This is the budget that you have spent so far divided by the total amount of clicks that the account has received, giving the cost per click. CTR. The percentage of impressions that resulted in clicks. This number is an important factor when Google attempts to discern whether your ad is relevant to the keywords that you are targeting. Impression. Every time an ad appears to a user, it is an impression. Think: “That ad really left an impression on me.” If the data shows 18,546 impressions for the previous month, the ad has shown 18,546 times during the previous month. Quality Score. An AdWords term that indicates how well an ad is performing. Whether or not an ad wins an auction and shows in the search is partially dependent on the quality score. Landing Page. After a user clicks on an ad, they are taken to a web page which is referred to as the landing page. This is where clicks land. Now that you are familiar with the most common PPC terms, we can talk about the major components and how they fit together in an ad campaign. Google ad campaigns are the most popular in the PPC world and are similar or identical to PPC campaigns on other platforms, so for our purposes, we will discuss the structure of the Google ad campaign. There are four major parts to a Google AdWords campaign: campaign, ad group, ad and keyword/negative. Campaign. As defined above under common terms, the campaign is the bucket that holds the ad groups, ads, keywords and negatives. This is where you set your daily budget. Ad Group. Ad groups are the buckets that contain ads, keywords and negatives. They point particular ads towards chosen keywords. For example, an ad group might be named “muffler repair” and contains all muffler repair related ads that will appear for the chosen muffler repair related keywords. Usually, ad groups are organized by keyword category or a single keyword. Ads, Keywords and Negatives. Within the ad group are the ads, keywords and negatives. If an ad group is relevant to a particular keyword category, then the ads, keywords and negatives are all relevant towards that category. This helps you show your business to the right audience. For example, Big Bird’s Car Repair runs an ad campaign that contains an ad group called, “muffler repair.” This ad group contains the keywords “muffler repair,” “muffler repair near me” and “bad muffler” with the negative “muffler d.i.y..” The ads within the ad group will show to searches that contain the terms (but not to searches that contain the negative). You are now familiar with the most common PPC terms and the basic structure of a PPC ad campaign, so what happens when the work is done and the ads are live? In the follow steps, we will review an ad campaign’s activities, starting with the search. Common terms from the glossary above are in bold so that you can recognize the terms in action. Jane Smith goes to Google.com and types a keyword phrase into the search box. Behind the scenes, a cheetah-fast auction takes place, during which Google evaluates all of the ads that are bidding on that search term. Google takes into account the quality score of the ad and the maximum bid on the keyword. 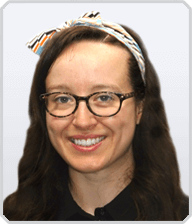 Jane Smith now sees a list of search results in order of relevancy that contain a small amount of Google ads, beginning at the top of the list. An ad catches Jane’s eye and contains language that describes exactly what she is looking for, so she clicks on the ad. Jane is taken to a landing page that is intended to encourage Jane to convert by making a phone call to the company. Jane completes the conversion action. Google AdWords reports on the data collected as one impression (ad displayed in results), one click (Jane clicked on the ad) and one conversion (action taken on the landing page). This data (including CPC, CTR, CPA and more) is then evaluated by the business and used to improve future performance. When beginning with PPC, it is important to start small and pay attention to the data. By starting small, you can ensure that your campaign is set up correctly. Start with just one campaign and a few ad groups that contain only your most-desired keywords. Once the campaign is running, watching and interpreting the data is essential to measuring the campaign’s performance. The data will also indicate whether or not the tracking code in place is working properly. You can then use the data to improve the campaign. As you become familiar with PPC data, it will begin to tell the story of your campaign. The data will show you exactly where your campaign is succeeding and failing. Big Bird’s Car Repair notices that their campaign contains a keyword that is creating the most impressions and clicks, but is not converting. People are clicking on the ad, but when they get to the landing page, they are not calling into the shop to schedule their car maintenance. By looking at the CPC, they can see that the keyword is costing double what the other words are costing. Based on the data, we know that people are interested in the ad, but once they arrive at the landing page, they are either not taking action or the action is not being tracked. This could mean a disconnect between the ad’s content and the landing page’s content, the tracking is not set up correctly or there is an isolated issue with the landing page. Other keywords in this ad group have a high CPA (or conversion rate), so you can deduce that the landing page conversion tracking is set up properly. Next, Big Bird’s Car Repair evaluates the landing page. The copy is clear and concise; there is only one obvious conversion action on the page and the design is spot on. Other keywords in the ad group are converting on the ad. At this point, Big Bird’s Car Repair knows that because other keywords are converting successfully with the same ads on the same landing page, the issue must be with the keyword that people are searching. After checking the searches made with that keyword on AdWords, it is apparent that most people searching with this term are looking to repair their car themselves, rather than hire a shop to do it. Big Bird’s Car Repair has now identified that the keyword is not relevant to their search. They can pause the keyword and and even add it to the list of negatives, so that can exclude all similar searches in the future. Data has saved the day! After reading every word of this article with laser-like focus, you are now familiar the basics of PPC. This should be enough information to allow you to decide if you want to dive into further study so that you can run a campaign yourself, hire an inside PPC employee or outsource PPC work to a professional company. If you choose to run your own campaign, visit the Google Academy of Ads and join Facebook groups and forums dedicated to PPC for beginners. There’s a ton of information out there to help you get started and almost all of it is free!